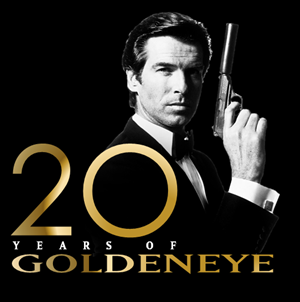 When did you watch GOLDENEYE and how old you were? 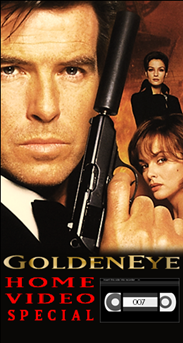 The first time I watched GOLDENEYE was on home VHS format. It had to have been either a gift or a rented tape that I'd tell my parents I 'couldn't find' just so I could keep it. The year had to have been around 1999 by the time I saw it, making me about five years old. Even though it came out four years earlier, GOLDENEYE was a brand new experience for me. I had never seen a James Bond film before and I cherished that VHS copy and the cinematic magic it held within. Somehow, I realized that what I had watched was something that would be a part of my life forever, immediately. 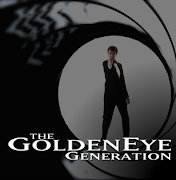 I was introduced to James Bond by way of GOLDENEYE and I never looked back. I cherished that tape and would go on to play the thing until it unraveled years later. 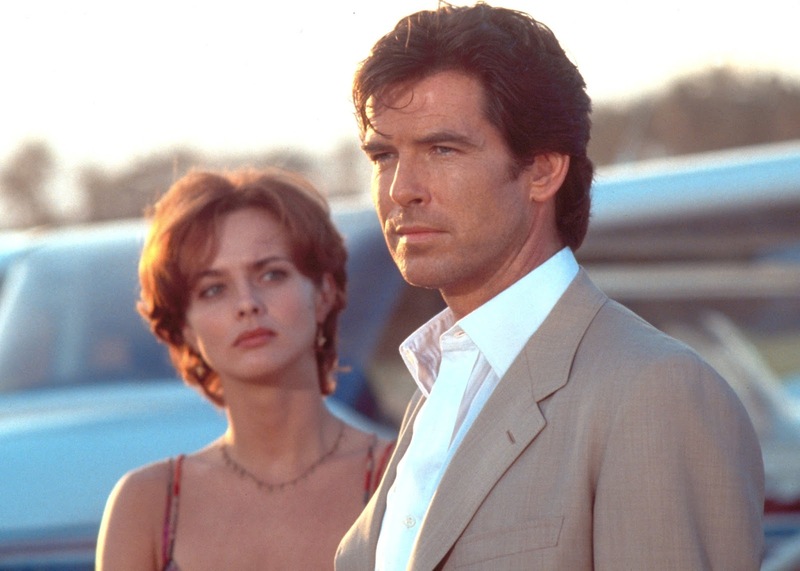 Is Pierce Brosnan your favourite James Bond? If not, tell us who is and why. Talk about a loaded question... All things considered, I'm not sure I could pick a favorite. They each have distinct qualities I love. 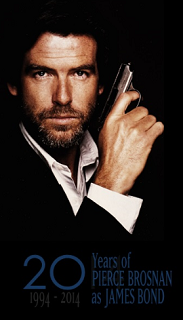 Though, with that said, Pierce Brosnan gets a slight boost in his favor from me. After all, Brosnan was my Bond. I knew nothing of any Bond before or after him. He was the star of the first Bond game I played and the first Bond film I watched. No other Bonds can lay claim to that for me. Though I've come to love all of the portrayals of Bond, Pierce Brosnan definitely has a special place in my earliest memories of the James Bond character. Is GOLDENEYE your favourite Bond film? If not, tell us which one is and why. Now, this is an easy one. Yes. No matter what. No Bond film before or since has been able to knock it from it's honorable perch. The sets, cast (especially Sean Bean as Alec Trevelyan), locations, and Eric Serra's score were a mixture for something really, really special. Not only is GOLDENEYE my favorite Bond movie, it may be my favorite film of all time. In a way, GOLDENEYE was able to do what no other movies have been able to do... Seeing it at such a young age and loving it as much as I did, really changed me. In a way, GOLDENEYE left an impression on my soul. Where other people my age can say that for an animated Disney movie or something of the sort, mine is GOLDENEYE. 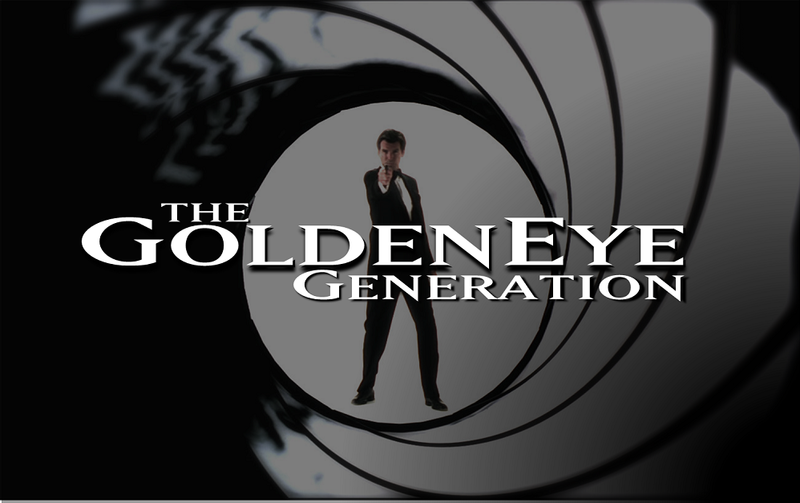 Which of the Bond movies prior to GOLDENEYE did you enjoy the most? Now, this is where second-favorite Bond films come into question. For me, coming in as a runner-ups to GOLDENEYE, are ON HER MAJESTY'S SECRET SERVICE, THE MAN WITH THE GOLDEN GUN, and THUNDERBALL. Each are vastly different, and I like they for vastly different reasons. Goerge Lazenby's distinct characterization of Bond, the beautiful cinematography, and John Barry's score all make ON HER MAJESTY's SECRET SERVICE one of favorite entries in the series. 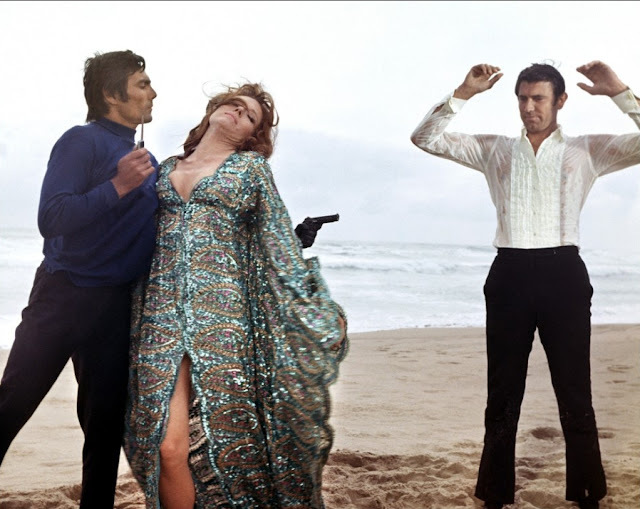 Roger Moore put out a strong performance for THE MAN WITH THE GOLDEN GUN, opposite one of my favorite villain entries in the series, Francisco Scaramanga, portrayed by the incomparable, the late Sir Christopher Lee. Finally, THUNDERBALL oozes sixties cool and Sean Connery is comfortably confident in his role as Bond. I'm also quite keen on this film's cinematography and how stunningly varied and beautiful the Bahamas are presented as the film's major location. Which of the Bond movies after GOLDENEYE did you enjoy the most? I don't think I'd classify any of the Bond films since GOLDENEYE as my favorite, though most of them have been quite good. For the most part, I really enjoyed THE WORLD IS NOT ENOUGH. Robert Carlyle's Renard shines in my mind as another solid Brosnan-era villain. I have also really enjoy most of Craig's efforts. Especially, in CASINO ROYALE and SKYFALL. How did you feel when Daniel Craig was cast as James Bond? To be as honest as possible, I hated it. After only discovering Bond a short time before Brosnan was swept under the rug so that some new guy was ready to come in and have a seat didn't really make sense to me. The 2005 news of Craig taking on the reigns of James Bond came as a shock to me. My Bond fandom was still in development when it felt as though everything was scrapped right before my eyes. How was a new James Bond going to work? Especially, with a guy that looked nothing like James Bond, which I had thought at the time? I can't say that I embraced Craig with open arms. After all, he was here to replace my Bond. 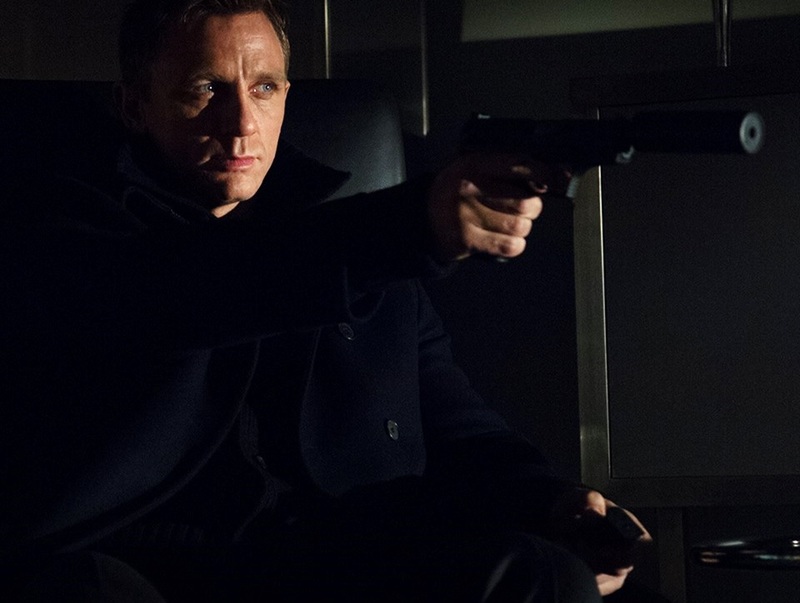 What do you think of the Daniel Craig 007 movies and which one is the one you like most? Needless to say, since 2005, a lot has changed! I do love where Craig has taken Agent 007. With the borderline redundancy of personal vendettas that have plagued his era, Craig has been able to stay compelling and fresh with each of his outings as Bond. 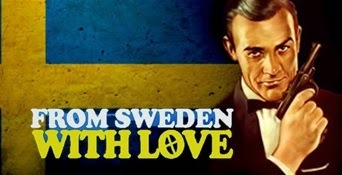 Thus far, he has shown us layers of Bond that were previously unexplored in previous film entries. As stated earlier, my favorites within his catalog are CASINO ROYALE and SKYFALL. If I had to pick one, it would be CASINO ROYALE, though. The story, locations, and Bond's love for Vesper were all played out very nicely, in my opinion. How do you see the future of James Bond? The future of James Bond is one that is unwritten. Though, original source material from Fleming himself becomes increasingly scarce, writers have scrambled to create films that do pieces of Fleming's original character a decent amount of small justices over the years. Part of me worries that the future of Bond isn't as deep and rich as it may seem, as legal issues continue to arrive and interfere with the process. Gone are the days of a constant set of teams made up of nearly the same people, film after film, pushing out cinematic history. Today and moving forward, it seems that the James Bond team will almost hold an open-door policy for directors, actors, locations, and sound. In that sense, I have hope... Though Bond's future is unwritten, the possibilities are truly unlimited.